Nature Saskatchewan will present an overview of their programs at noon, Apr. 17, at Innovation Place Regina. Learn about local bats and build a bat box from 7-10 pm, Apr. 18, at the Saskatchewan Science Centre. A clean-up is being planned for the North Central neighbourhood of Regina the weekend of Apr. 19-21. Indicate interest and lunch preferences in advance. Kids can celebrate Earth Day with games and crafts at the Moose Jaw Public Library from 10:30 am-12 pm, Apr. 20. Enjoy displays and presentations on the work of worms from 12:30-4:30 pm, Apr. 20, in Prince Albert. Share and learn skills to repair things at Repair Café Prince Albert from 1-4 pm, Apr. 20. Kids are invited to make a bee-friendly flower planter and bee hotel at Redvers Public Library from 1-2 or 2:30-3:30 pm, Apr. 21. Call 452-3255 or text 452-7734 to reserve a spot. Moose Jaw Nature Society is hosting a hike at Buffalo Pound Provincial Park from 1:30-6:30 pm, Apr. 22. The Saskatoon Enviro Collective is hosting a potluck supper and discussion about the loss of nature and ecological grief from 6:30-9:30 pm, Apr. 22. Register early as spots are limited. 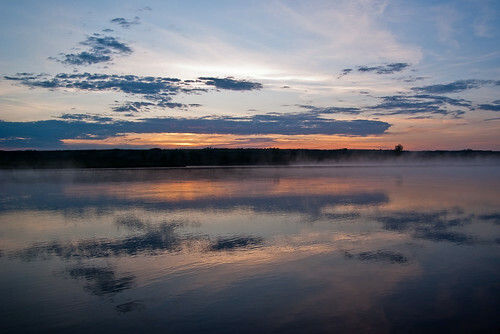 Kids 5-10 are invited to spend a week exploring the Saskatoon riverfront with Wild Sky Adventure Learning. Dumpsters will be available for individuals and groups cleaning up the river valley. Register with Meewasin to be assigned a particular area. Find out more about the Breeding Bird Atlas project and learn the basics of bird identification from 7-9 pm, Apr. 24, at the Battlefords Wildlife Federation. Find out what’s happening to our weather from 7-9:30 pm, Apr. 25, at the Sask Science Centre. Help plan the upcoming Canada-wide school strike from 3-5 pm, Apr. 28. Regina is holding a national school climate strike from 11-12 pm, May 3. SaskOutdoors is offering a canoe certification course in Saskatoon May 18-20. Permaculture Saskatchewan and Wild Sky Adventure Learning are hosting a forest gardening workshop at Ness Creek from June 14-16. NEW! Sustainable Yorkton & Area strives to support members to live a low impact lifestyle to protect and restore their community and planet. Calling for a Sustainable Quill Lakes Solution is concerned about the absence of environmental impact assessments on 20 provincial wetland drainage projects. One couple has lost their property rights and the process has begun to expropriate their land by the Smith Creek Watershed Association. Concerns have been raised about the rezoning applications for Richard St. Barbe Baker Afforestation Area and George Genereux Urban Regional Park. The first is being classified as agricultural land for use by public utilities; the second is being designated for future urban development. Why are they not being classified as parks or naturalized areas? Submit concerns to the City of Saskatoon. Urban planners are questioning the necessity and route of the proposed perimeter highway: "Before spending an enormous amount of money, sit back and look at the big picture, because the big picture has completely changed." Chet Neufeld, Native Plant Society of Saskatchewan, recommends planting native flowers in our gardens. Swimsuits are bad for the environment. 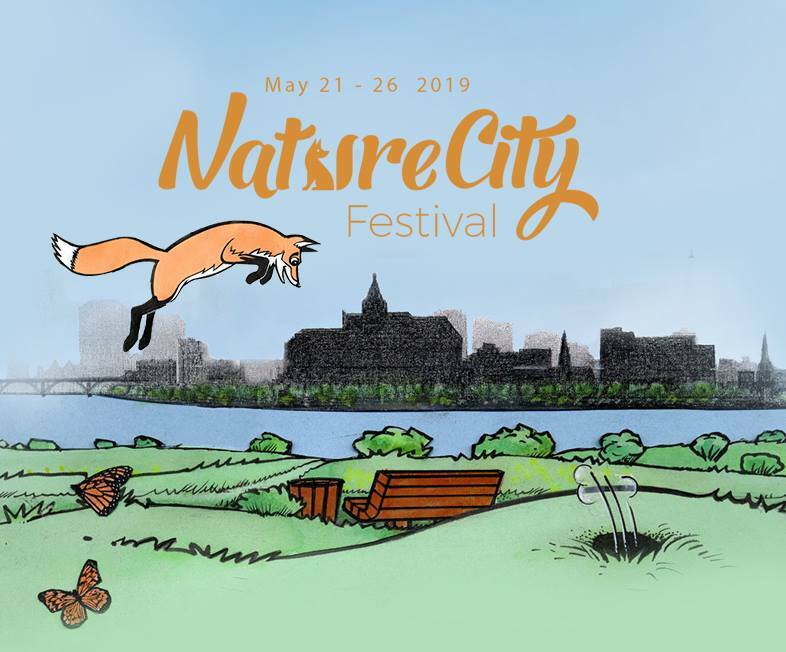 As part of Saskatoon’s 2019 NatureCity Festival, Wild about Saskatoon is offering awards to recognize the contributions of individuals, community initiatives, and businesses who advocate for the conservation and restoration of nature and natural areas in and around Saskatoon. The NatureCity Awards also honour people and projects that promote a relationship of belonging, connection, and care between local residents and the nature that surrounds us. If you know someone who would be wildly deserving of this award, nominate them now. Awards will be made in each of 3 categories: Individual, Community Initiative, Business. Nominees must be a resident of Saskatoon or its surrounding area. They cannot have been a previous award recipient or be a member of the Wild about Saskatoon/NatureCity Festival steering committee. Nominations must be submitted by May 1. Awards will be presented at a special ceremony during the 2019 NatureCity Festival from May 21-26. Margaret Asmuss will discuss how climate change is affecting Saskatchewan from 6:30-9:30 pm, Apr. 12, at First United Church. Jean-Michel DeVink is tentatively scheduled to talk about survey study designs: why details matter to the question being asked at 3:30 pm, Apr. 12, as part of the WildEcol seminar series at the U of S.
Join Nature Regina on their field trip along the Qu’Appelle Valley as they look for bluebirds and other signs of spring from 9:30 am-1 pm, Apr. 13. A wildlife rescue orientation session is being held at 1 pm, Apr. 13, in Saskatoon. There will be rescue training after the orientation from 2-3 pm. Email volunteer@wrsos.org to save your spot. 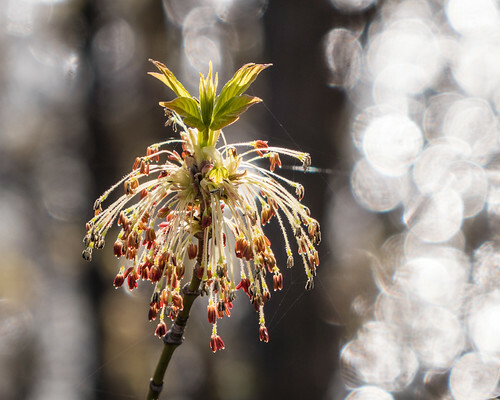 Join Chet Neufeld, NPSS, to find out how to bring biodiversity into your yard with native plants from 2:30-3:30 pm, Apr. 14, at the Prince of Wales branch of the Regina Public Library. Janet Ng will summarize her research on ferruginous hawk ecology from 7:30-9:30 pm, at the Apr. 15 meeting of Nature Regina. A public event is being held at 7:30 pm, Apr. 15, to celebrate the 90th anniversary of the University of Saskatchewan Observatory. Speakers will discuss The Observatory’s history and the history of astronomy. A walk to The Observatory and cake will follow. The Breeding Bird Atlas project is offering a free workshop on beginner bird identification from 7-9 pm, Apr. 16, in Yorkton. Darrin Qualman will explore sustainability and make a case for restructuring the core processes of industrial civilization from 7-8:30 pm, Apr. 16. 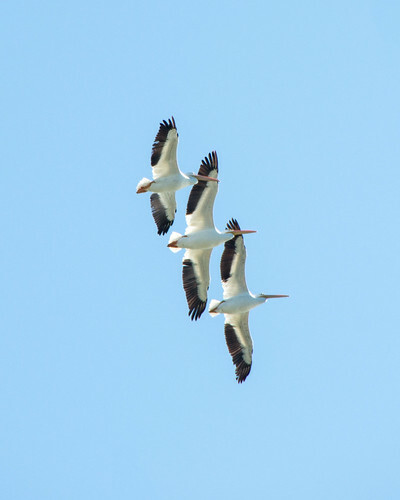 Find out more about the Breeding Bird Atlas project at the 7 pm, Apr. 17, meeting of the Kelsey Ecological Society. SaskOutdoors is hosting an outdoor and environmental education community conversation from 7-8:30 pm, Apr. 17, in Swift Current. Join Jared Clarke to discuss the climate crisis and its solutions from 7-8:30 pm, Apr. 17, at the Sunrise branch of the Regina Public Library. Dr. Irena Creed, Executive Director, School of Environment & Sustainability, U of S, will be the guest speaker at the Saskatchewan Environmental Society’s annual general meeting starting at 6 pm, Apr. 17. Find out how to choose, set up, and maintain a compost bin at 2:30 pm, Apr. 18, at the Moose Jaw Public Library. Branimir Gjetvaj will discuss nature-based solutions for climate change mitigation and adaptation at the 7:30 pm, Apr. 18, meeting of the Saskatoon Nature Society. Watch a film about people who have built their lives around renewable energy from 2-3 pm, Apr. 18, at the Mayfair branch of the Saskatoon Public Library. Gravelbourg Green/Vert Initiatives is brand new! Let’s wish them well in their goal to inspire, facilitate, and promote sustainability in Gravelbourg and surrounding areas. Prince Albert National Park’s healthy wolf population is a good indicator of a healthy ecological area. Wolves are typically scared of humans so there’s no reason to fear them. 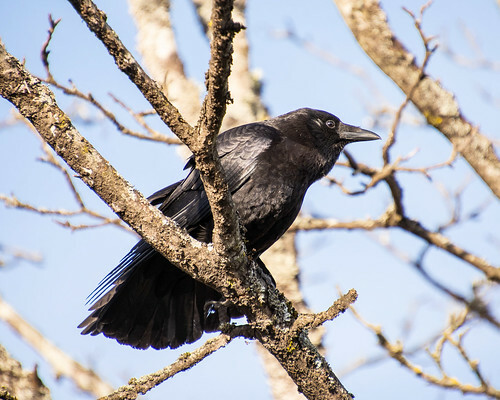 The City of Swift Current is killing crows because they’re too noisy. The U of S Arts Building is now using 50% less water following replacement of 75% of its toilets and urinals and the addition of aerators on 85% of the faucets. Moving freight or moving people – trains are far more energy efficient and less polluting than cars or airplanes. 1. Beavers’ earliest ancestors appeared on the scene 38-54 million years ago. The first North American beavers ranged in size from tiny ones weighing less than 1.5 kg to giant ones over 3 metres long and the size of a female black bear. 2. The world’s longest beaver dam, found in Wood Buffalo National Park, is over 850 metres long and visible from space. Beavers prefer to build their dams out of wood, but they’ll make do with whatever is available. A dam in the Yukon is built almost entirely out of stones the size of soccer balls. 3. Beaver lodges are initially a solid mass of wood, small twigs, and sticks as well as mud and debris used to fill the gaps. Once it’s big enough, the beavers head underwater and chew their way up through the wood to create an entrance tunnel and living quarters – a feeding platform just above the water level and a larger room where they’ll raise their young and spend most of their time. The beavers then use their paws to plaster the interior walls with mud, leaving just a few holes for ventilation. 4. Beavers’ teeth never stop growing. It’s only by gnawing on wood that they can keep them to a manageable size. 5. Indigenous North Americans and early Europeans used beaver teeth as tools for carving. It’s believed that a beaver jaw with its teeth intact was used to carve the images and hieroglyphics on an 11,000-year-old religious idol found in Russia’s Ural Mountains. 6. Beaver tails are large and shaped like a paddle. They use them to steer while underwater, to balance themselves while on land, and to store fat for the winter. Beavers slap their tail on the water to warn of danger. 7. 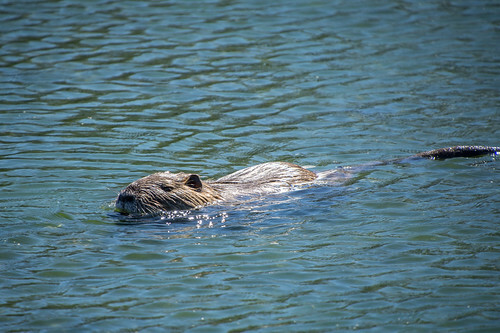 Beavers can swim at speeds of up to 8 kph and stay underwater for up to 20 minutes at a time. 8. Beavers were hunted to extinction in the United Kingdom 300-400 years ago. They are now being re-introduced in parts of England and Scotland. Eurasian beavers are slightly larger than North American beavers with narrower heads and tails. 9. Ice melts more quickly on active beaver ponds, providing a refuge for early-migrating waterfowl. The cool water at the base of ponds formed by beaver dams is the perfect habitat for baby fish, such as salmon. 10. 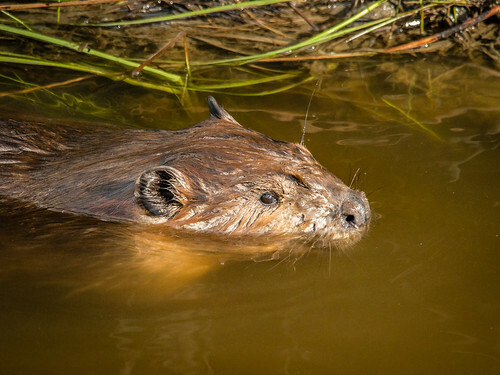 Beavers help protect against drought by raising the water level, stabilizing and increasing groundwater levels, and holding back water that would otherwise drain away. The cellulose at the bottom of the dams helps break down pesticides and herbicides from agriculture. 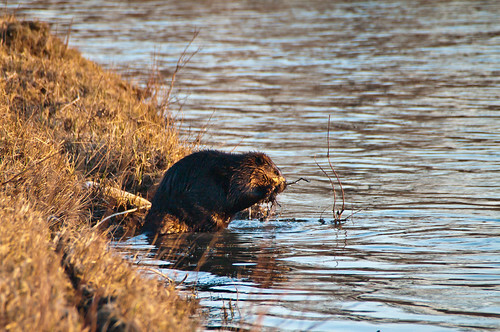 Many cities and rural municipalities in Saskatchewan trap and kill beavers because they damage trees or cause flooding. 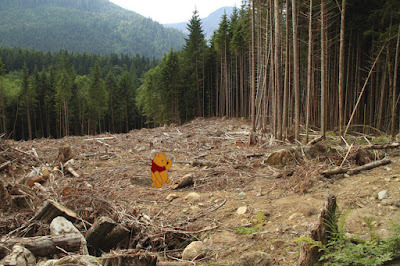 This is an ineffective, short-term solution as other beavers will quickly repopulate the area and rebuild dams. The Fur-Bearers offer free workshops in non-lethal co-existence methods that benefit the environment, the public, and beavers. The cities of Calgary and Airdrie have both taken advantage of their services. The snow has melted and laid bare the garbage along our waterways and trails and in our parks. It’s time to spring clean our community and we’re offering school and community groups throughout Saskatchewan the opportunity to raise some money for their activities in the process. 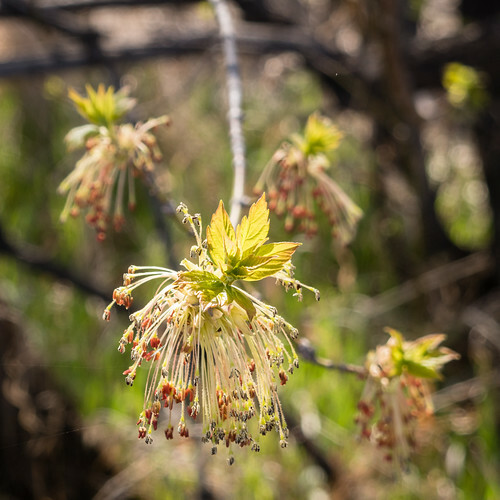 EcoFriendly Sask is offering a limited number of $500 grants to clubs and voluntary organizations for cleaning up a natural area in or around their community. 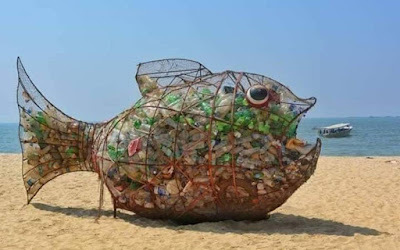 Apply by sending us an email telling us about your group and your clean-up plans. We’ll let you know whether or not your grant application is approved. Groups that are approved for a grant will be sent a cheque once we’ve received a photograph of your clean-up crew and the garbage you’ve collected. EcoFriendly Sask informs, encourages, and supports Saskatchewan environmental initiatives through an online publication and Action Grants. You can follow EcoFriendly Sask by liking us on Facebook, following us on Twitter, or by email (top right corner). Join Joyce Belcher for a session on nature writing from 1:30-3:30 pm, Apr. 7, at the Sunrise branch of the Regina Public Library. You can dispose of household hazardous waste at City of Saskatoon’s Civic Operations Centre from 9 am – 3:30 pm, April 7. Mark Brigham will discuss bats, the role they play in the ecosystem, and how to attract them to your yard from 7-8 pm, Apr. 9, at the Sunrise branch of the Regina Public Library. Dr. Jay Famigletti, Executive Director, Global Institute for Water Security, will discuss the latest research on water sustainability at an event in Regina from 5-9 pm, Apr. 11. Register online by Apr. 4. SaskOutdoors is hosting an outdoor and environmental education community conversation from 7-8:30 pm, Apr. 12, in Yorkton. 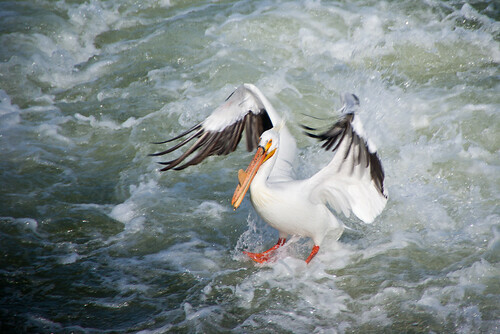 Join the Yellowhead Flyway Birding Trail Association on Apr. 13 for an afternoon of bugs, birds, and long walks followed by a delicious supper. 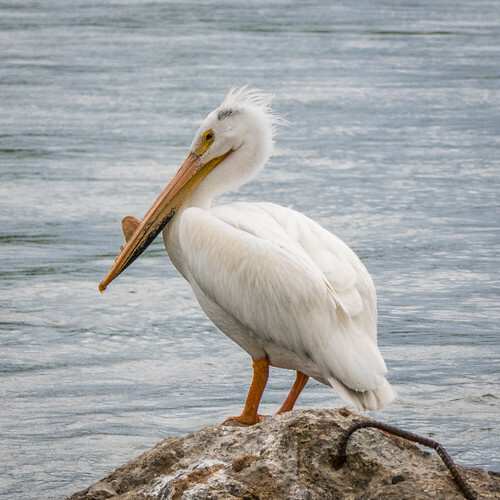 Teachers are invited to learn about Flying Wild’s focus on migratory birds designed for young people grades 1-9 to learn more about the natural world. The workshop will be held in Regina and in Saskatoon on May 4. “The Province of Saskatchewan is preparing to give the go ahead to a new solution potash mine that would harm or destroy up to 6,000 hectares (14,800 acres) of increasingly rare grassland, wetland and riparian (creek valley slopes) habitat in the upper Wascana Creek watershed near the towns of Sedley and Lajord.” Here’s what you can do to prevent this happening. Restoring 71 Habitat Conservation Project – bringing life back to the Prairies (p. 8 of RM Review). Darrin Qualman’s book, Civilization Critical, is now available. The book charts the past, present, and possible future of our global petro-industrial consumerist civilization with chapters on energy, the industrial revolution, transport, farming, efficiency, and progress. The dark side of geothermal energy – it’s contaminating the local water supply in New Mexico. If we are going to advocate battery power, we need to do so responsibly – from ethical supply chains to recycling options. On-road freight is a major contributor to climate change and pollution in Canada. 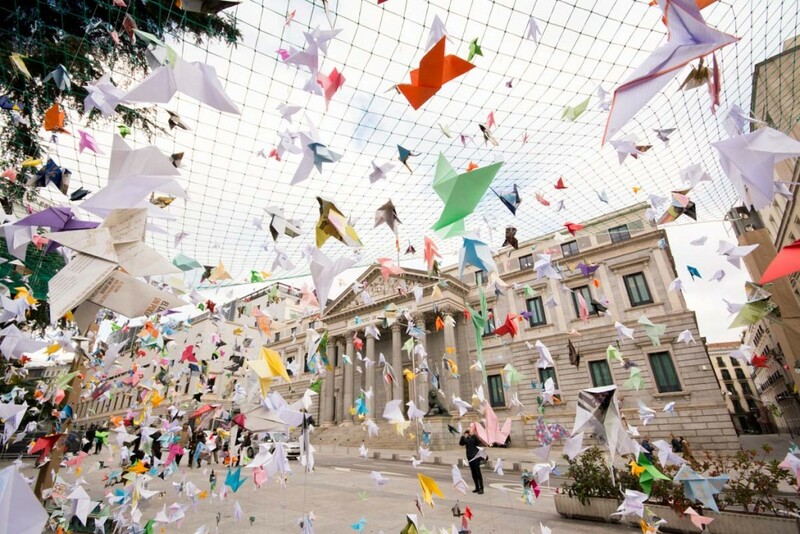 An international report examines low-carbon goods movement strategies. Pigeon and turtle sculptures as traffic barriers – reinforcing the nature that is already part of our cities. Mystery novels for nature lovers. A flock of origami birds, created by concerned citizens from across Europe, successfully stopped Spain’s plans to dredge a river in Doñana National Park. 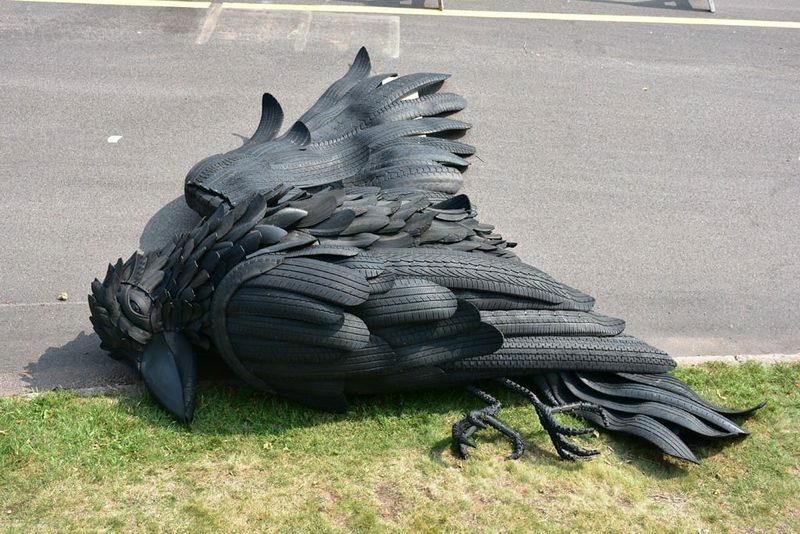 Gerald Beaulieu’s crow sculptures weigh 386 kilograms and are 5 metres long. Made out of used tires, they are “public memorials to the dead . . . . Larger than life and made of the material that often kills them, they are impossible to ignore.” Crows are scavengers attracted to roadkill. And yet, in the process of cleaning up our roads, they themselves are often killed. 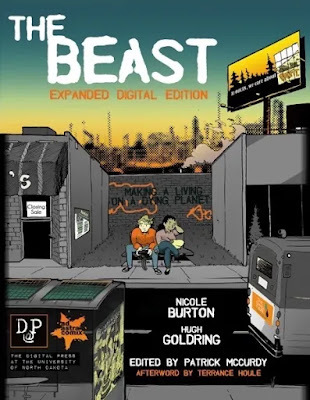 Nicole Marie Burton “believes that comics, because they are relatively inexpensive to produce, are a great medium to amplify marginalized voices.” She recently illustrated her first graphic novel about two young people who find work in the Canadian oil industry. 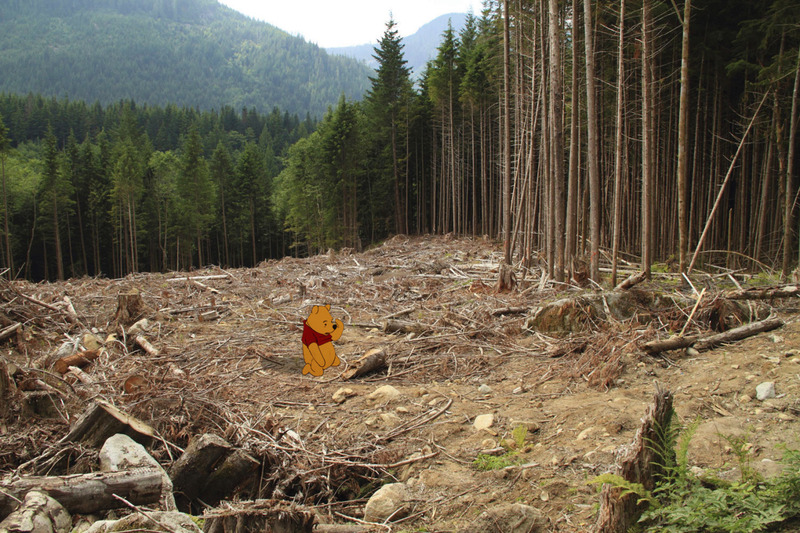 In his Unhappily Ever After project, Jeff Hong shocks us by inserting Disney characters into modern-day reality –the Lion King lies dead on the African plain, while Pooh’s Hundred Acre Wood has been clearcut.